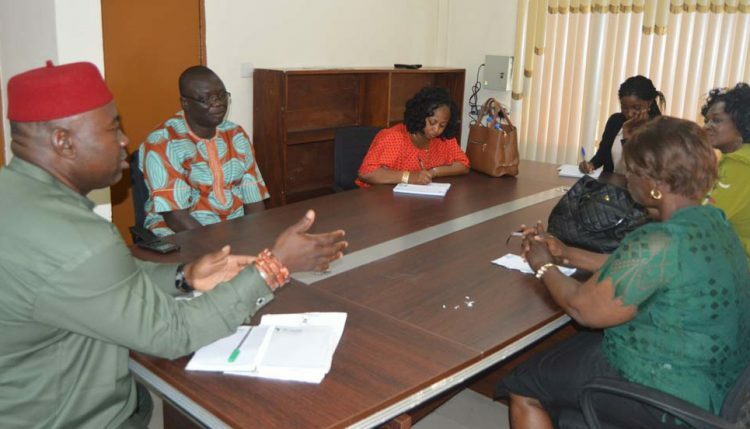 The South-South Regional Coordinator, Nigerian Export Promotion Council (NEPC), Ms Azuka Ikejiofor has lauded the efforts of IITA in its research on high-yielding and pest and disease resistant crop varieties that meet international market specifications. Therefore, she called on the Institute to partner in the capacity development of small/medium-sized enterprises (SMEs) in producing high quality products for export. Dr Okechukwu with the NEPC delegates. According to Ikejiofor, the call to improve the standards of export products was due to the challenges of poor quality export products after the government organized a program tagged “One State, One Product” on products that have a comparative economic advantage in the state. 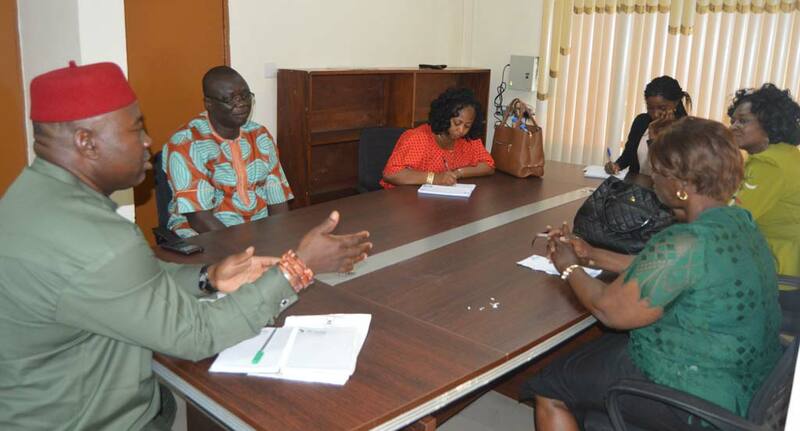 She said that they have identified cassava and fisheries as the major produce in Rivers and Bayelsa states and are interested in the postharvest processing and value addition of the products. “We’ve come to IITA to guide us to produce quality exports that can stand competitive international market specifications,” she said. In receiving the NEPC South-South regional head, who was accompanied by Ms Esther Udusi and Ms Kobo Evelyn (Principal Trade Promotion Officers), Onne Station Head Richardson Okechukwu said IITA has developed a book of standards with SON for export products that meet international standards. Thus, in postharvest export, a value chain must be sustained for products to continue to thrive in the international market. Trainees will also learn how to lower their production costs and have higher yields to reduce the cost of raw materials. Okechukwu reiterated that IITA is open for partnership and has customized training capability depending on the need of clients. He also stated that the station will kick-start commercial production of “garri” and NEPC could tap into it for export.